I never was that fond of Martinis. However, I am going through a binge of trying classic cocktails. On reading, I think I found out why I don’t care for modern martinis. They are basically chilled gin. They have so little vermouth, you might as well put a gin bottle in the fridge and swig from it. 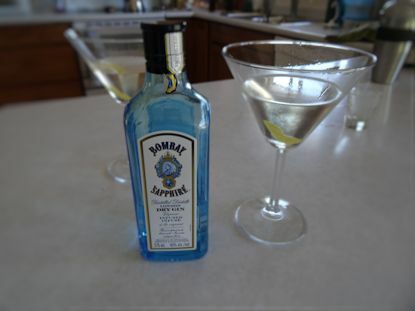 Apparently the classic martini of the 1920s and 1930s had two parts gin to one part vermouth. This sounded like more of a cocktail and less of a chilled shot to me. Also, a lot of the recipes from that era called for a dash of bitters. None called for an olive, most garnished with a twist of lemon zest. So, a little less anxious I went forward and made Classic Martinis for my friend and me. The recipe is at the end of the post. I put cocktail glasses in the freezer to chill. I half filled my cocktail shaker with ice and added the gin and dry vermouth. I stirred until it was very cold and strained it into a cocktail glass. I twisted a piece of lemon zest over the drink and dropped it in. After tasting the first Martini, we made a second one and added a dash of bitters to the mix. Surprise! I like Martinis! These actually had a nice flavour with a touch of floral overtones from the vermouth. It was way better than chilled gin with a drop of vermouth. When the bitters was added, it put it over the top. It was a nice balanced cocktail with complex layers of floral, tart and sweet overtones. 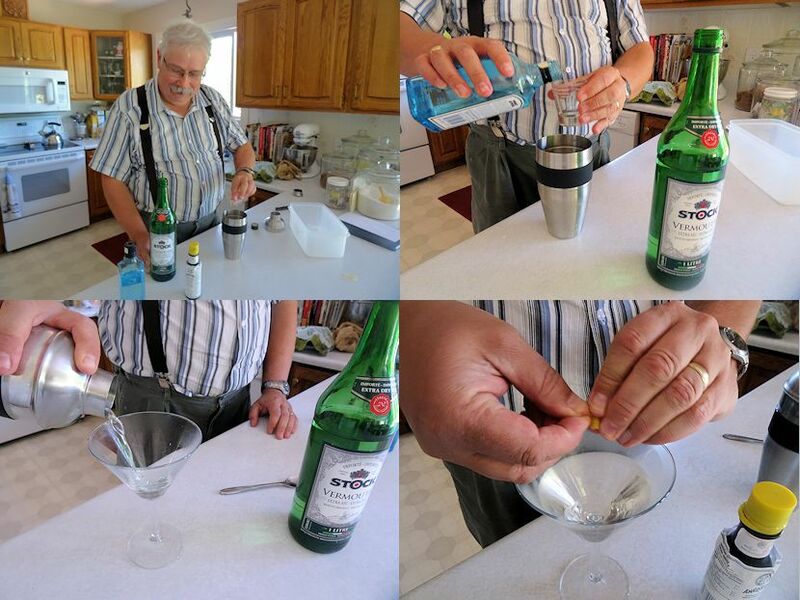 This is how I will make Martinis. Put cocktail glasses in the freezer to chill. 1/2 fill a cocktail shaker with ice. Add the gin, vermouth and bitters to the shaker. Strain into the chilled cocktail glass. Twist the lemon zest over the drink and drop it in. I’ve been enjoying the retro style cocktails lately as well. Had my first ever Manhatten and loved it – so delicious! Sapphire Martini’s have become a favorite as well but it sounds like I need to try bitters next time! Thanks for stopping by, Chris. I am enjoying the cocktails and I was shocked with how much better the bitters made a martini in my humble opinion. We are trying Mint Julep this week!